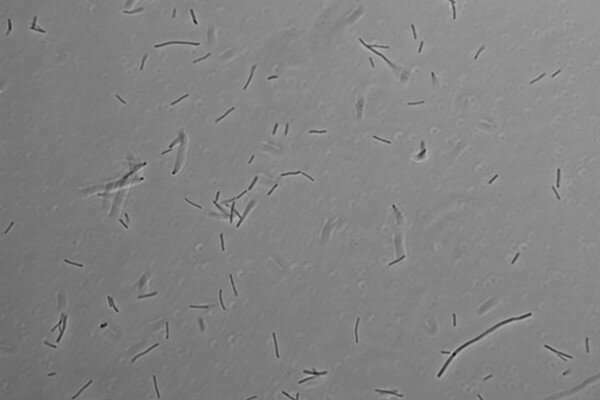 Extremophiles like those found in hot springs and thermal vents are also common in residential water heaters, according to a nationwide study that sheds new light on the extent of extremophile colonization in homes and provides insight about how the heat-loving microbes spread. "Extremophiles are a huge part of the biosphere," said Regina Wilpiszeski, a postdoctoral researcher at Oak Ridge National Laboratory and a recent Penn State doctoral recipient. "If we want to understand what life on Earth is doing, we need to understand it across the board." The researchers analyzed samples from water heaters in all 50 states, as well as Washington D.C. and Puerto Rico, and found evidence of microbes in about half of the homes. They reported their findings online in the journal Extremophiles. Despite their presence, the microbes pose no health concerns for humans and water from the systems remains safe to drink. A single species, Thermus scotoductus, dominated in all the positive samples in the study, even in locations near natural hot springs that host other similar but distinct strains. "That included houses located near Yellowstone National Park, where we would expect other extreme organisms to live in the natural hot spring environment," Wilpiszeski said. "That was a surprise." Thermus scotoductus has been found in nature, at hot springs in Iceland, hydrothermal waters off the coast of Hawaii and even deep in a gold mine in South Africa. "Most of the time when you are thinking about extreme environments, you are thinking about going out into nature and into these weird and inaccessible places," Wilpiszeski said. "But the truth is we spend the vast majority of our time indoors. And we really just don't necessarily know what is living there." Water heaters offer high temperatures and low levels of organic matter, ideal conditions for extremophile microbe colonies, the researchers said. "Water heaters are unique because they are isolated from each other by cooler temperatures in water lines," said Christopher House, professor of geosciences and director of the Penn State Astrobiology Research Center and the NASA Pennsylvania Space Grant Consortium. "This study helps us learn more about how microbes are spreading and how they are inhabiting these environments we have inadvertently created for them." Cooler temperatures would not kill the microbes, meaning they could survive being transported between water heaters, scientists said. However, further study is needed to determine the exact paths extremophiles take to enter our homes. Citizen scientists submitted filters and water samples from their homes as part of a collaboration between the NASA Astrobiology Institute and the NASA National Space Grant Fellowship and Scholarship Program. Researchers analyzed DNA sequences found on the collected filters and grew cultures from the water samples. Together, these different data sets provided a novel view of the thermophilic microbes inhabiting water heaters across the nation. Analyses of the data included comparing genetic differences between samples to the physical distance between their water heater locations.